Jerusalem, mid 20th century. 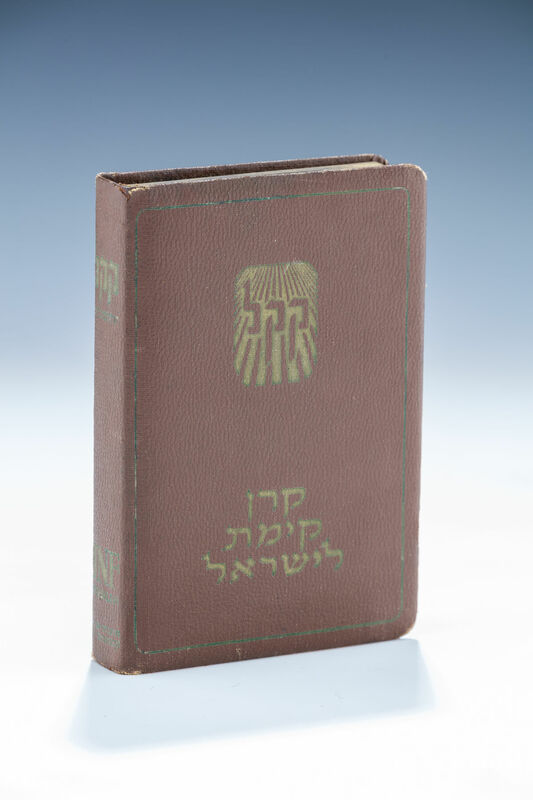 Decorated with gold print in hebrew, with towns in israel on one side and kkl insignia on verso. 5” tall.